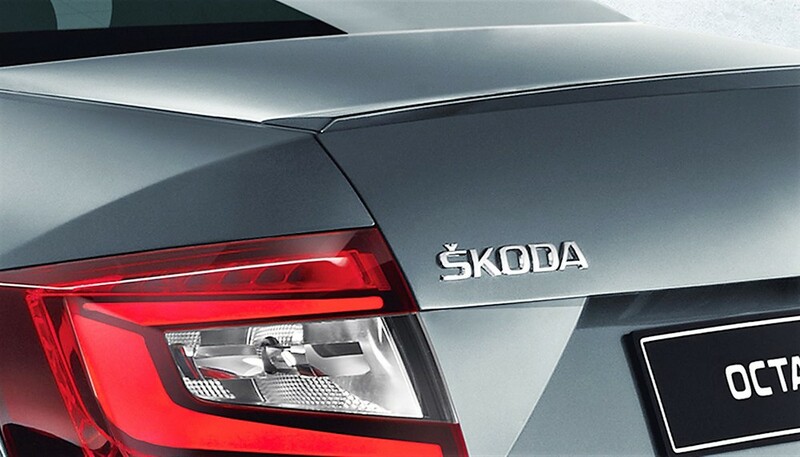 Skoda Octavia went into its next generation with this all-new, split headlamp design. The car was launched in India from INR 15.49 lakh (ex-showroom pan India) a month ago. The range flows effortlessly to INR 22.89 lakh and brings utmost luxury with exclusive drive experience through its host of features. Here are 7 reasons why you should consider a test ride for 2017 Skoda Octavia. 1) Magnetic Exteriors: The new Octavia is a head turner and considering the same as your next car will require some preparation to experience that stardom. You will find people staring at its beautiful split headlamp design that further comes with the new butterfly grille and chiseled body design. The number of shades available, along with its impressive alloy wheel design guarantees satisfaction from both owner and the audience. 2) Comfortable Interior: Skoda offers utmost comfort for all five passengers inside the new Octavia. No one will ever feel trapped as Octavia comes with an electrically adjustable panoramic sunroof that commits to least possible light transmission and heating effect. It can be tipped or slided to the back to create open space feel near the front seats. Other exciting features include cruise control and multi purpose steering wheel. 3) Intelligent Features: Whenever you are back on the driving seat, you can switch the seat and rear view mirrors back on your favorite position with one click. 12 way adjustable front driver seat gets memory function and that too for 3 different settings. Dual zone climate control system further ensures that you get your favorite temperature around you zone. It even comes with humidity sensor that prevents misting on the windscreen. 4) Extra Care At All Ends: Skoda offers USB slots for rear passengers, boarding lights, ambient lighting, electric folding rear view mirrors and telescopic headlamp washers for that extra bit of care for your car. All of these equate into enhanced safety, added fun and all time utility on the new Octavia. 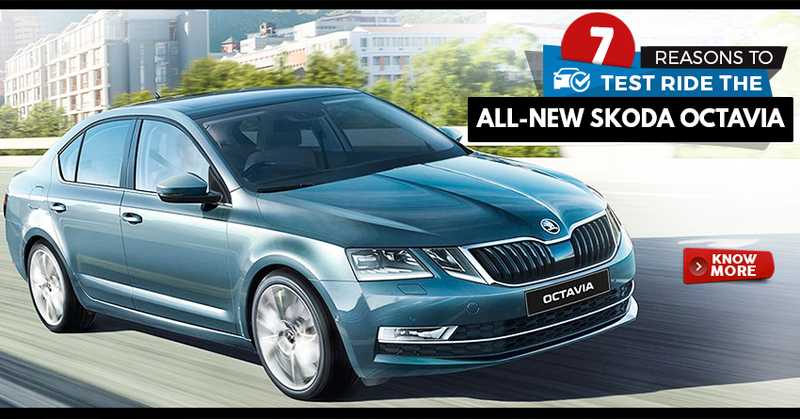 The style is timeless and further adding all these goodies make Octavia a great option as your new car. 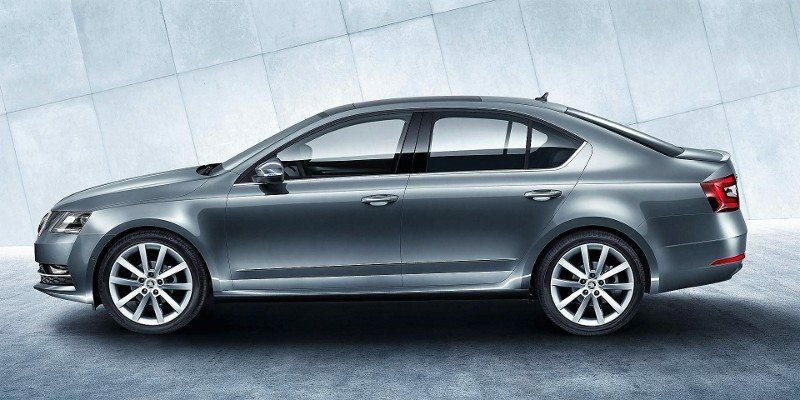 5) Powerful Engine Options: Skoda Octavia comes with a powerful 2.0L diesel engine producing 143 PS and 320 Nm of torque. The engine performs exceptionally well and comes mated to 6-speed manual or the even better 7-speed DSG. Petrol power is even more exciting as 1.8L motor is good for 180 PS and 250 Nm of torque. Another 1.4L motor producing 150 PS and 250 Nm of torque in on offer. You can select the one than suits your driving character. 6) Excellent Mileage: Skoda’s 2.0L diesel engine is one of the most efficient motor that one can buy in this segment. With a claimed mileage of 21 kmpl of the manual variant, Octavia won’t burn a hole in your pocket when it comes to long distance rides and everyday traffic encounter. If you feel manual in not your type, going for the automatic gearbox will fetch a claimed 19.5 kmpl of mileage. 7) Fortress on 4 Wheels: Safety is one primary need on road and Skoda perfectly takes care of this matter. 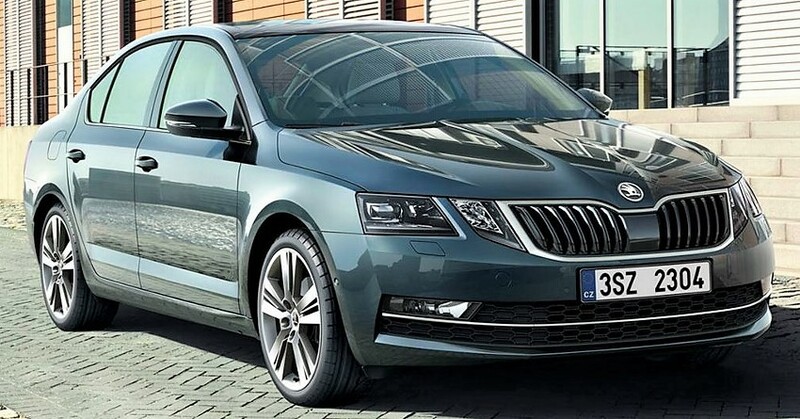 Features like adaptive lighting system, autonomous parking, fatigue alert, rear view camera, 6-airbags, cornering fog lights and hill hold control makes Octavia perfect for every situation. Skoda is well known for its tank like built quality and their improved service network further boost confidence in the buyers.